Showing: 71,611 recipes : on page 928 of 1990. 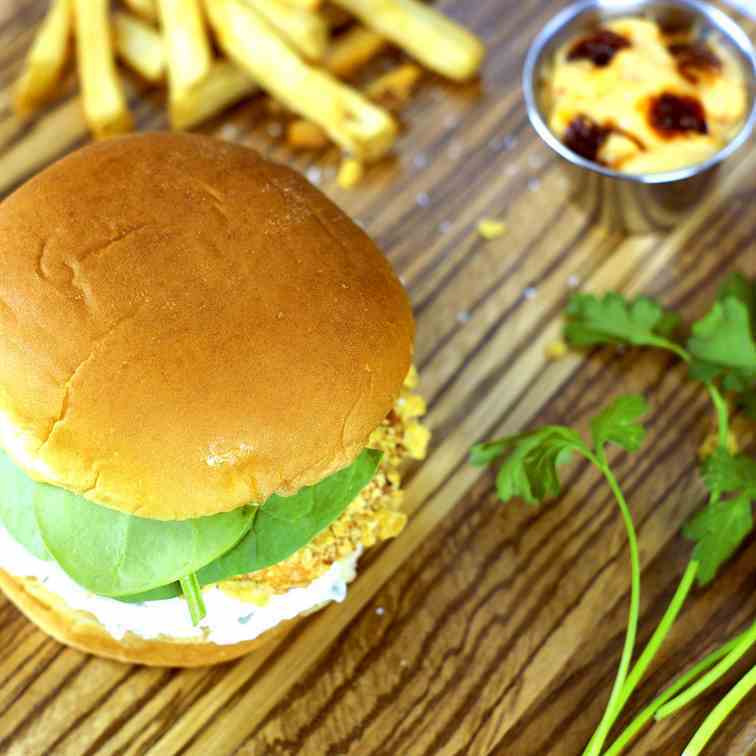 Tortilla Crusted Chipotle Salmon Burgers Salmon burgers coated in crushed tortilla chips and topped with a delicious chipotle mayo. 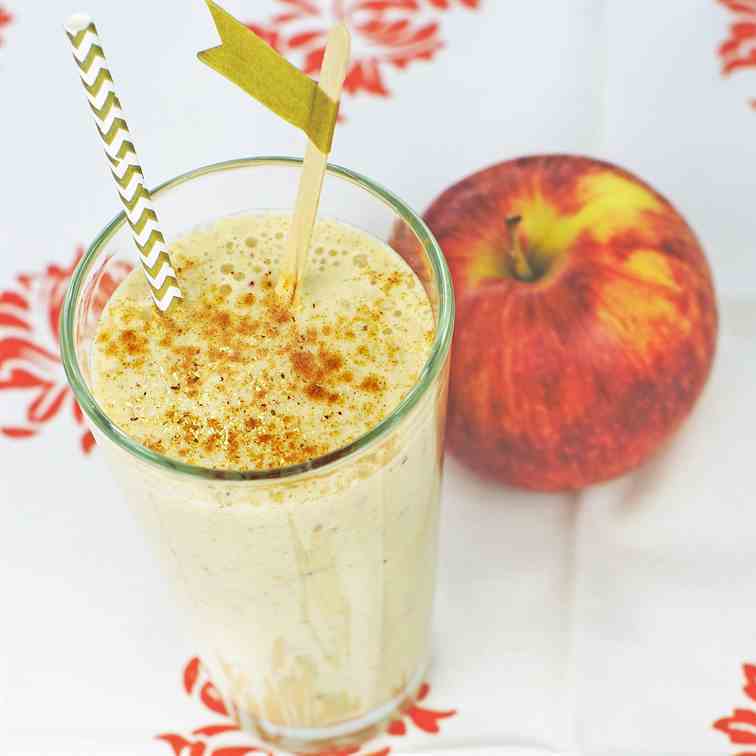 Delicious smoothies made with Jonagold apples, bananas, and greek yogurt. 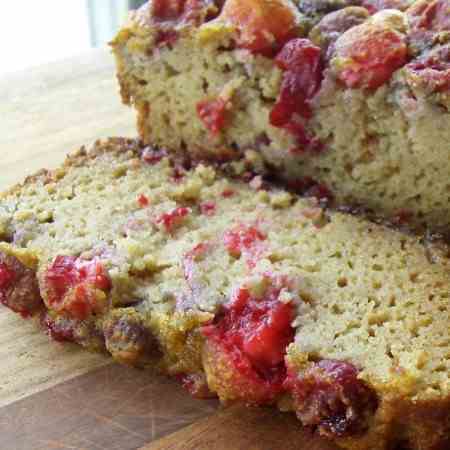 Topped with ground cinnamon, nutmeg, ginger, and cloves. 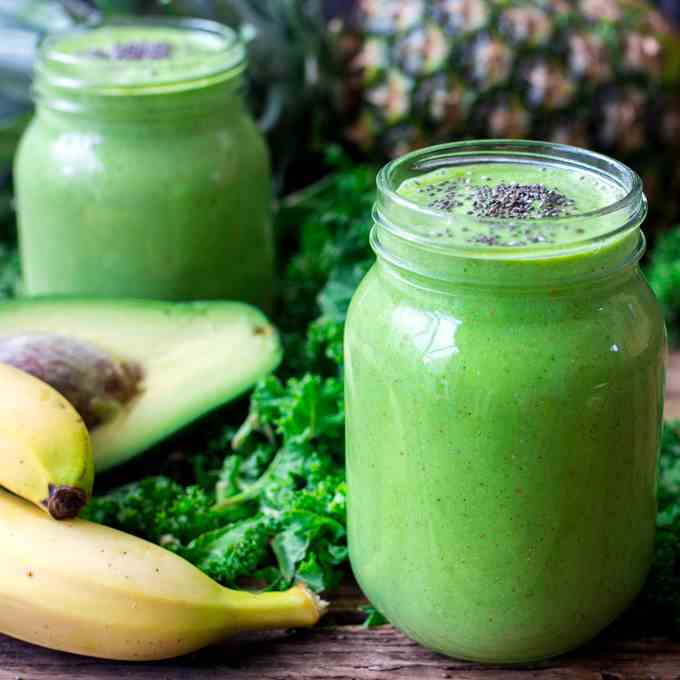 Pineapple Avocado Detox Smoothie - Creamy, sweet-but-not-too-sweet and full of health packed ingredients. 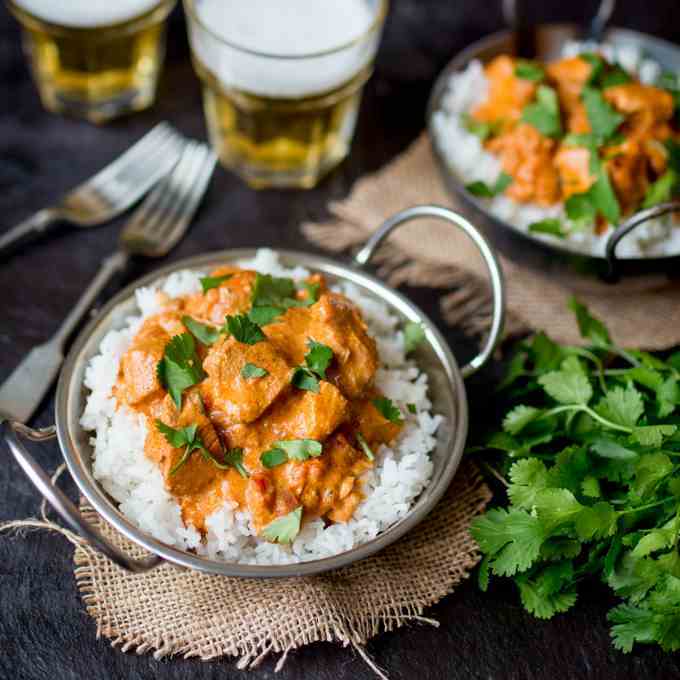 Crock Pot Butter Chicken - An easy meal that the adults and kids will love! Gluten Free too. 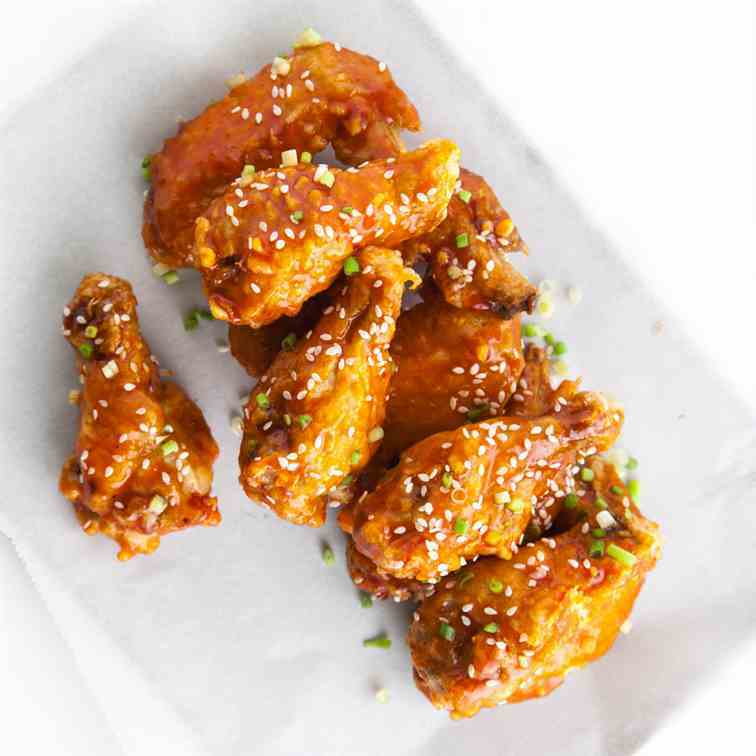 Crispy crunchy exterior, bursting with flavors inside, coated with spicy sweet sauce. Careful, this can get very addictive! I have always loved math. In school I excelled, and it wasn’t because I’m impulsive or competitive. In the face of competition I wither and shrink away, hoping no one will notice my absence. My math skills certainly haven’t predicted my current income, unless the relationship between math and income is inverse. I love math because its clean. It’s formulaic, and it makes sense. At least, it did. I took math through college all the way up to the point where it starts to get weird. At some point calculus turns into logic. For me, logic was essentially the same as philosophy. There’s nothing worse than searching for answers to questions that have no answer. Stop wasting my time. Since dropping that woo-woo math in 2009, the only use I’ve had for math is balancing my checkbook, which could more accurately be described as Finding Money Where There is None. Instead I became a social worker, which sounds like a great career for peace-loving hippies, but is actually not so great for introverts and people who dislike conflict. It’s not all puppies and roses out there people. 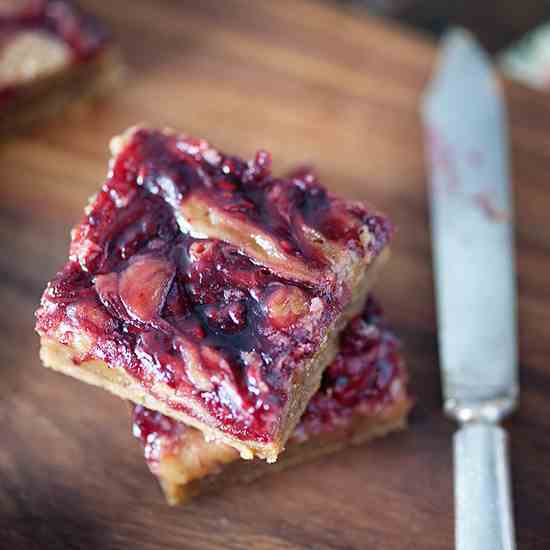 Brown Butter Raspberry Blondies, because we can. 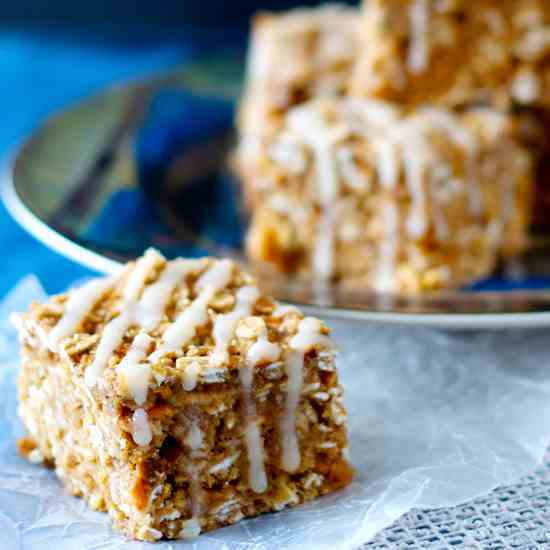 Apple Oatmeal Squares to tuck into the lunch box, or with a cup of tea! 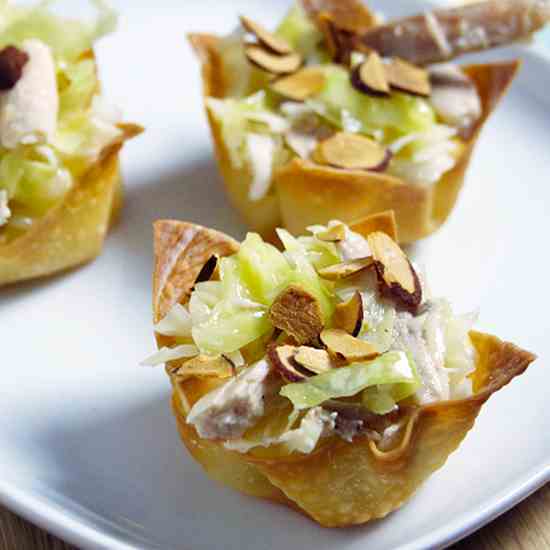 Asian Chicken Salad Cups make for a fun family appetizer. 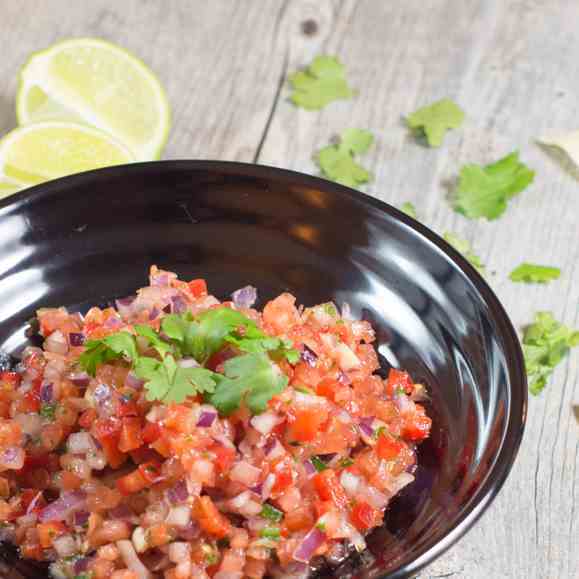 This delicious homemade salsa is filled with fresh tomatoes, peppers, onions, garlic, cilantro and lime juice plus it's super easy to make! 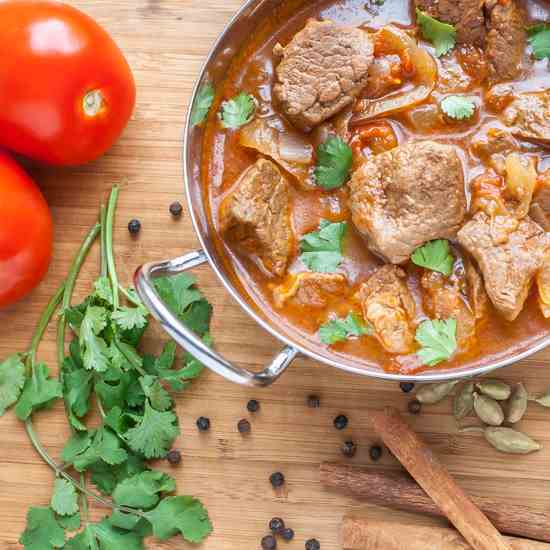 Delicious and easy Rogan Josh Curry, can be made with lamb or beef. 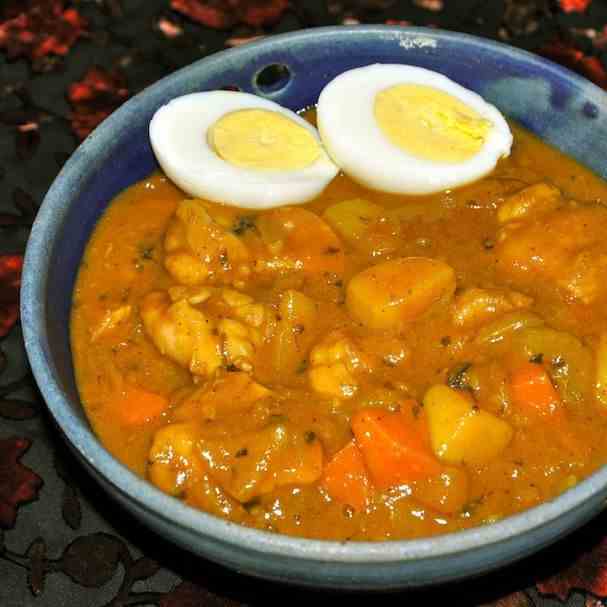 This recipe, with its intriguing mix of ingredients and flavors is popularly served all over Japan. The unusual combination of apples with celery, carrot and potatoes is strangely comforting! 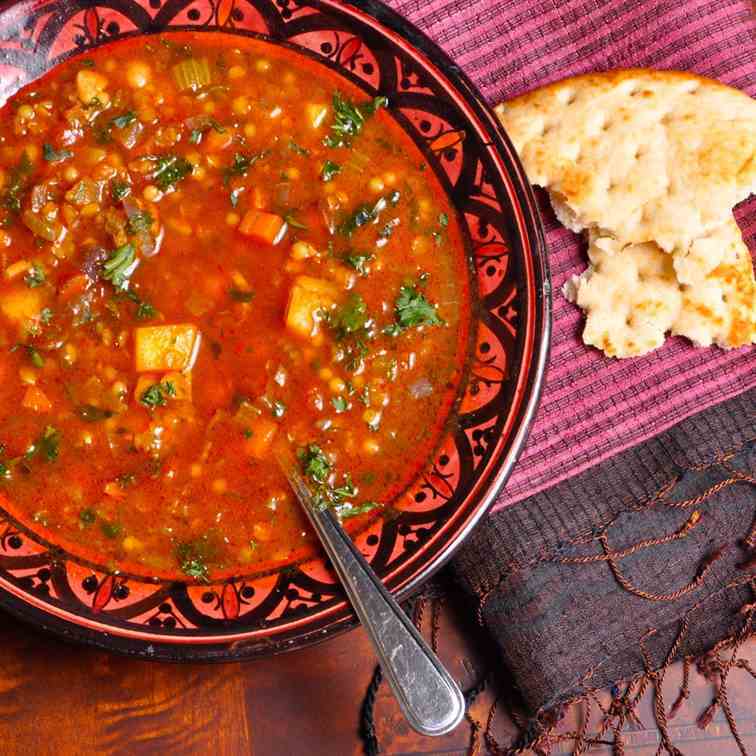 Hearty, flavorful and warming, this lightly spiced soup is the perfect comfort food for winter! 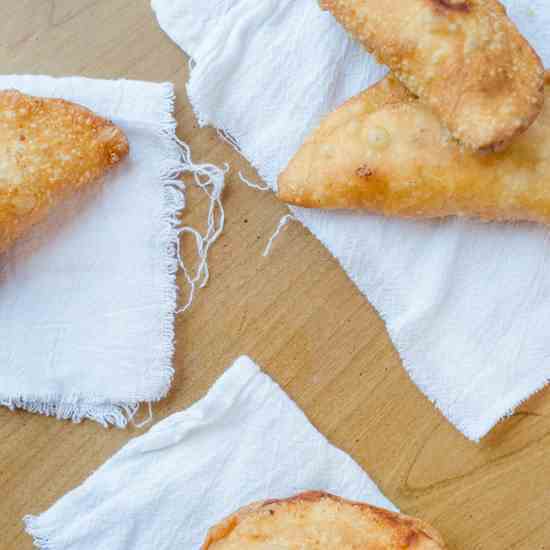 Chicken empanadas have been a family-favorite meal over here for many years – and you may be interested to know that they are rather easy to make. 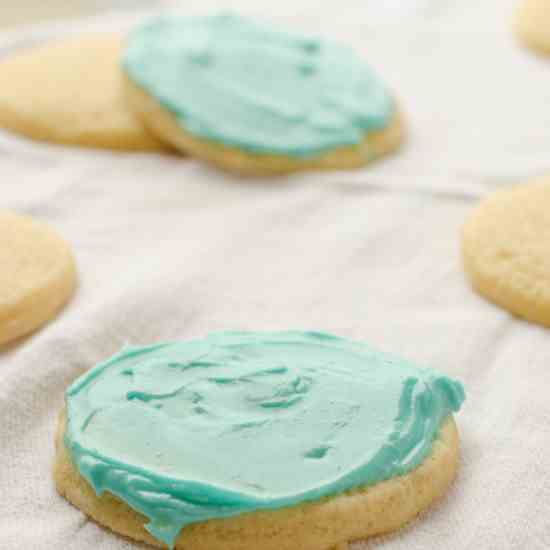 These are THE ULTIMATE soft sugar cut-out cookies! Plus, they’re not that high in sugar, so you can eat them for breakfast! 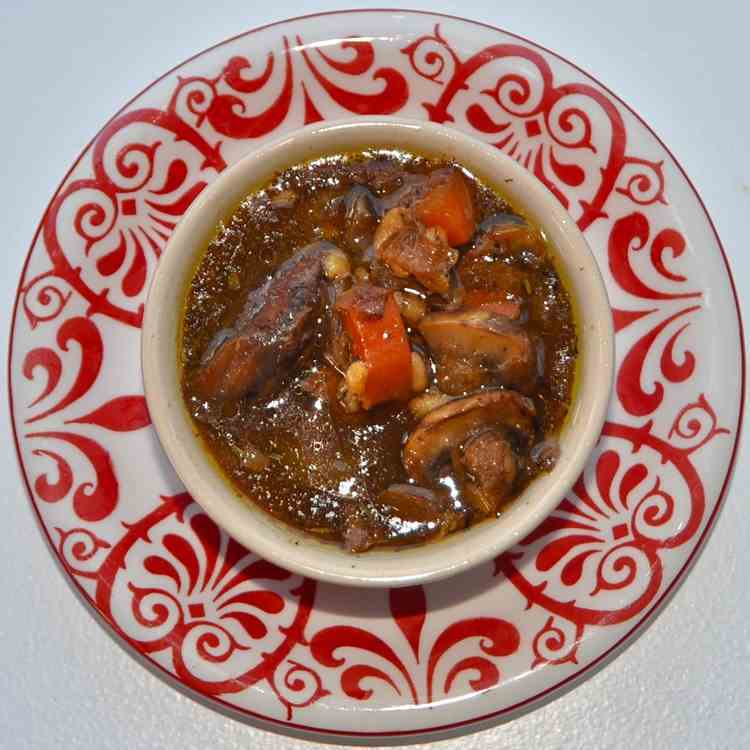 The shredded lamb, Herbes de Provence and barley add another level of flavor to the soup, setting it apart from anything else you may have had before. 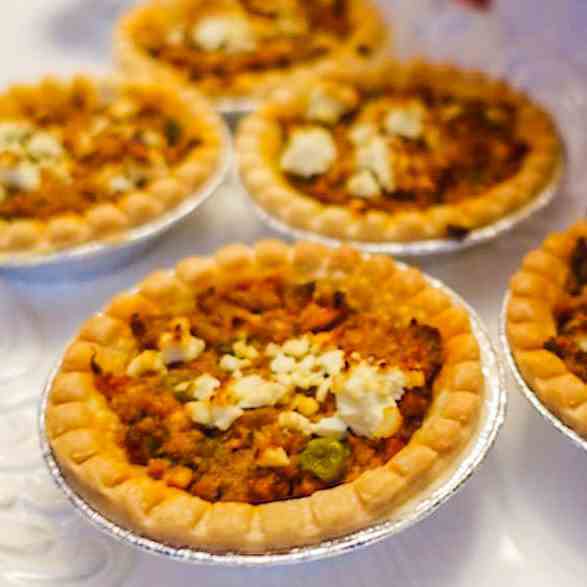 Curried ground lamb in a golden flaky crust. 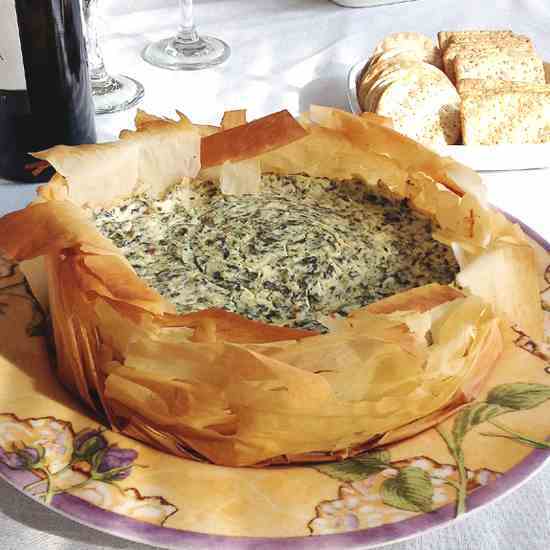 The filling can be used in a myriad of ways. 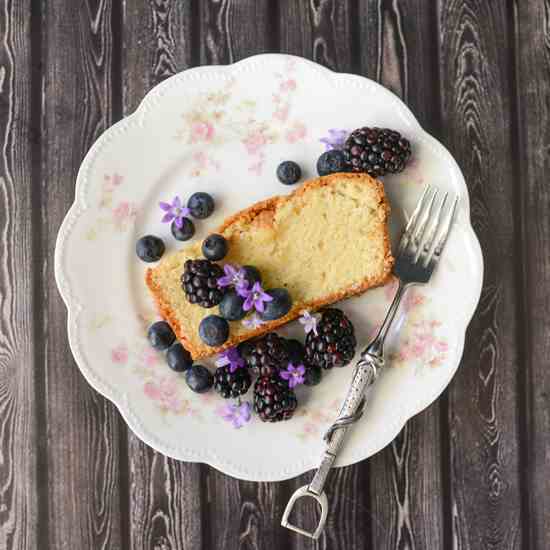 Grandma's classic pound cake recipe is moist and delicious, and bakes up with the most delectable crunchy, cookie-like crust. 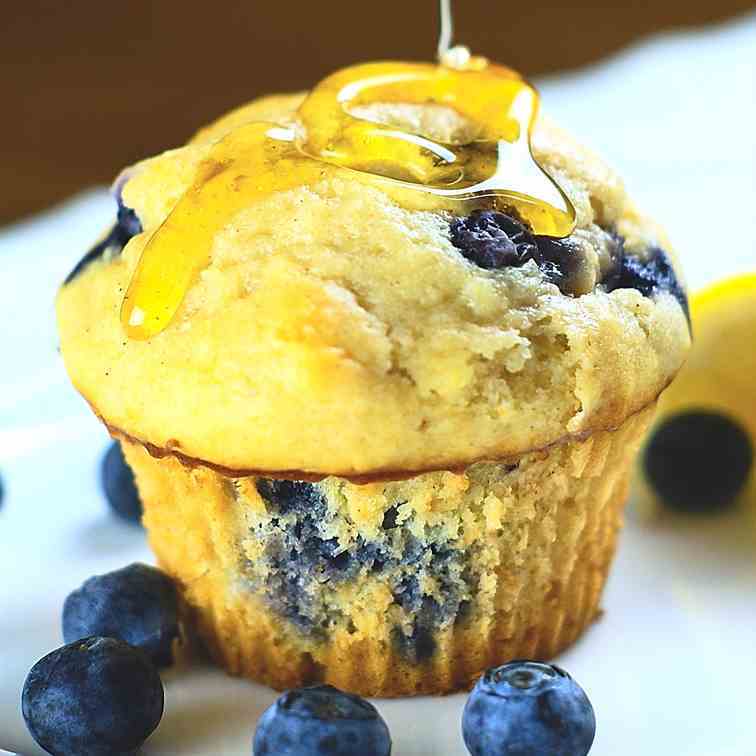 Blueberry muffins are an awesome weekend breakfast treat. 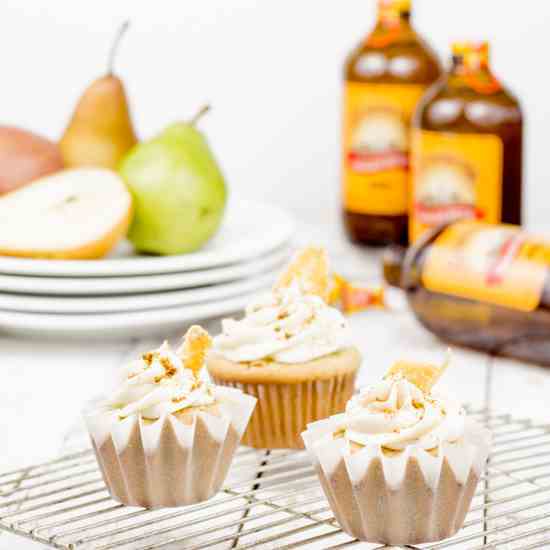 These are made with greek yogurt and finished with a honey-lemon glaze. 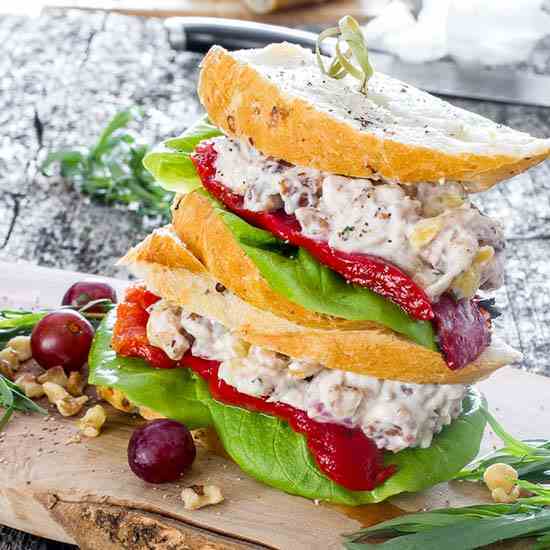 This Nutty Chicken Salad is not your run of the mill chicken salad, it's a hundred times better. It will turn your sandwiches into superstars. 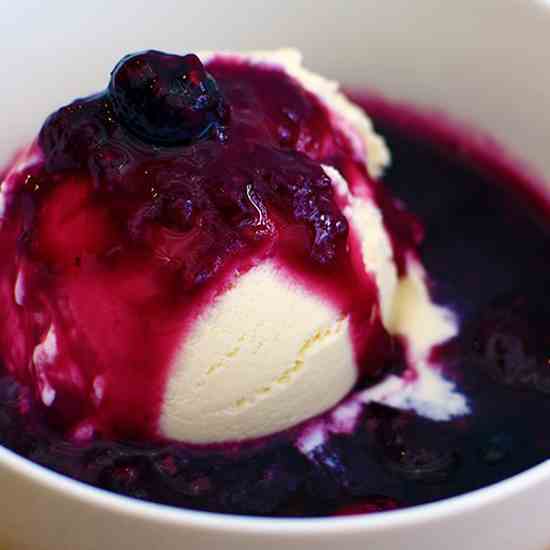 This recipe for stewed berries on ice cream is delightful. Be sure to make extra berries as it goes great on yogurt, pancakes and anything else you can think of. 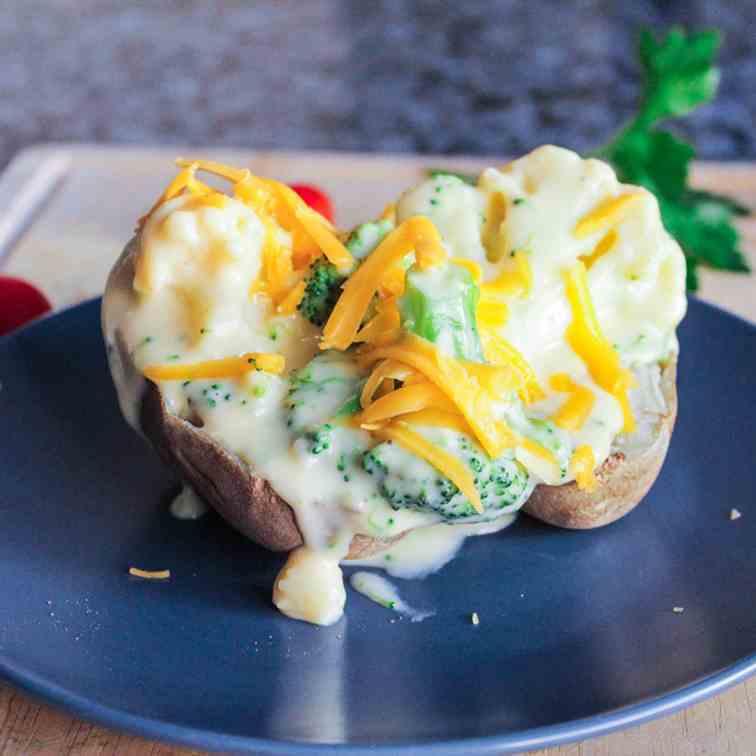 A delicious, easy, and filling one-pot meal that you will want to make over and over again! 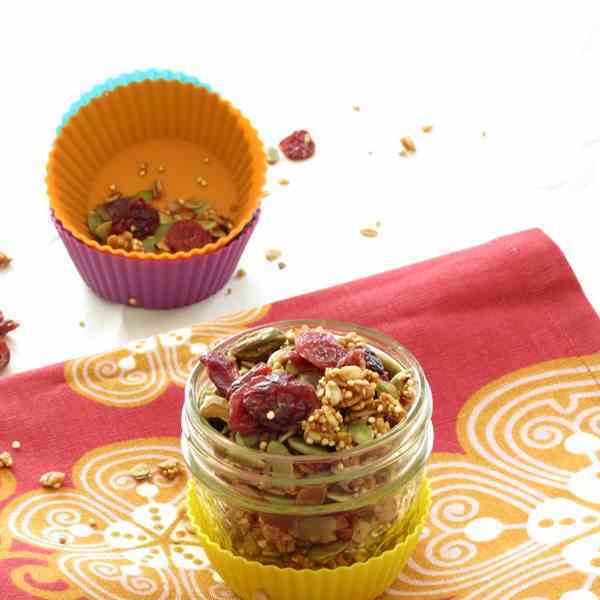 Quinoa Granola made with pistachio, cranberries and pumpkin seeds. 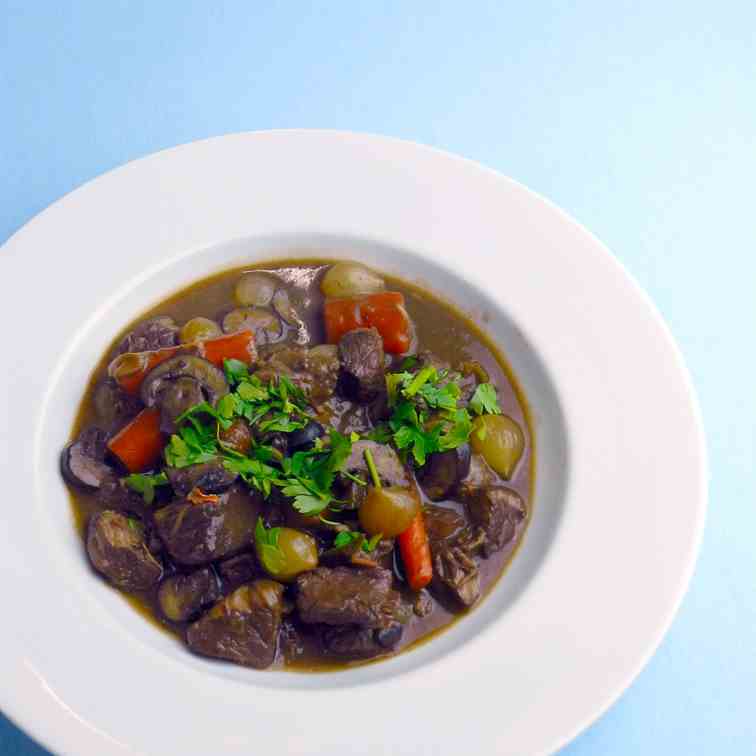 Calling beef bourguignon a beef stew is like calling Beethoven's Fifth a song. Technically accurate, but missing the subtle beauty of the dish. Homemade mini cinnamon rolls are easy (and even buttery) using crescent rolls. 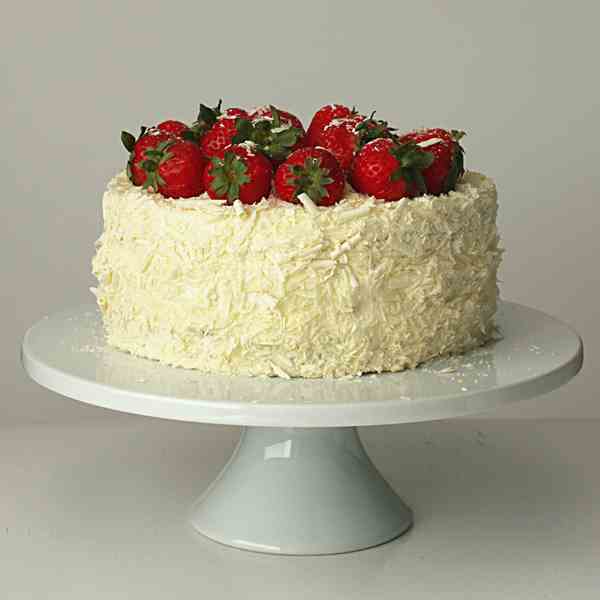 Top them with a super simple icing for a real treat. Using a spicy avocado hummus as the base this is a truly healthy dish. 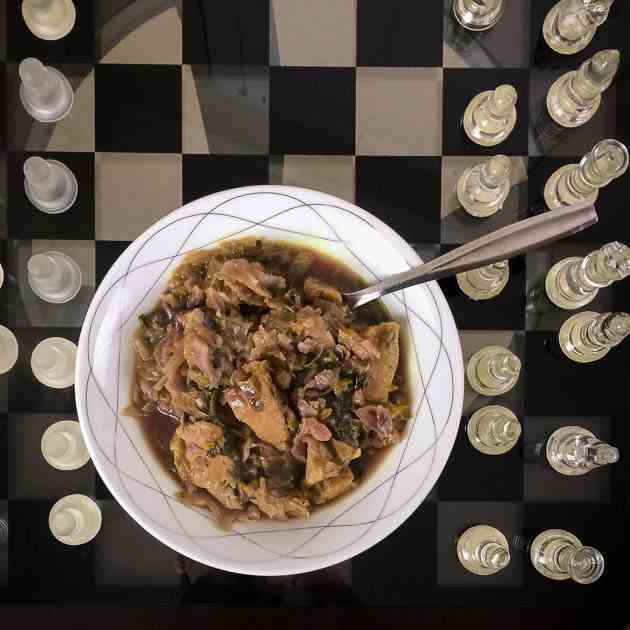 Tender braised chicken thighs in a rich mushroom and wine sauce with loads of veggies! This is the ultimate comfort food. Triple Berry Wine Slush! This Sangria Slush is perfect for any occasion! 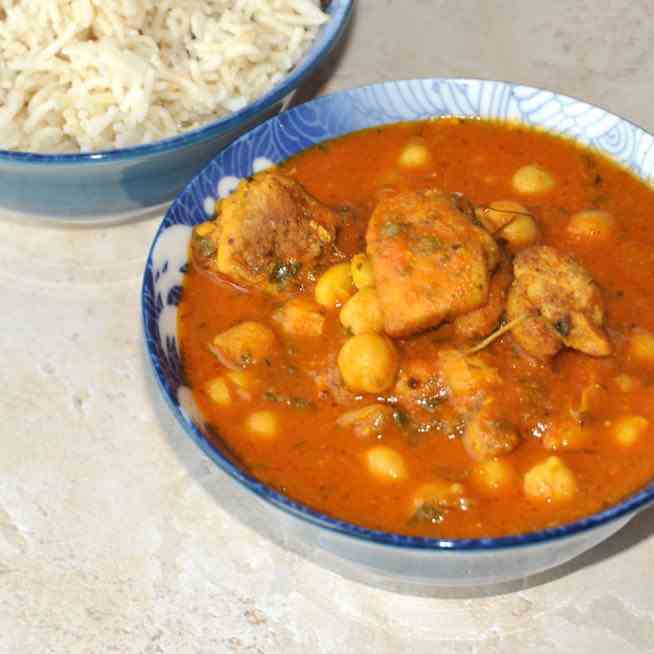 Easy and so delicious. Cheers! Rosemary Sea Salt Dutch Oven Bread. 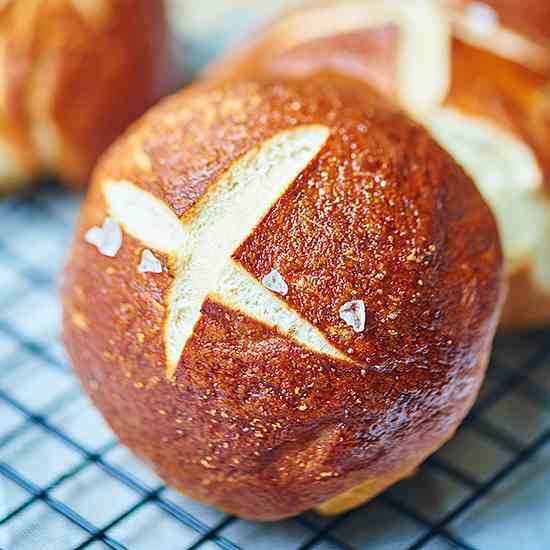 The only EASY, NO KNEAD bread recipe you'll ever need!